Our prices for Titan flagpoles are the lowest permitted by the manufacturer ! 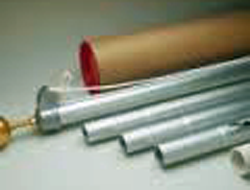 Aluminum flagpoles with anodized finish. 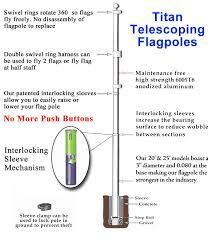 Titan flagpoles have a unique system of internal interlocking sleeves that support each section around the entire circumference of the pole. 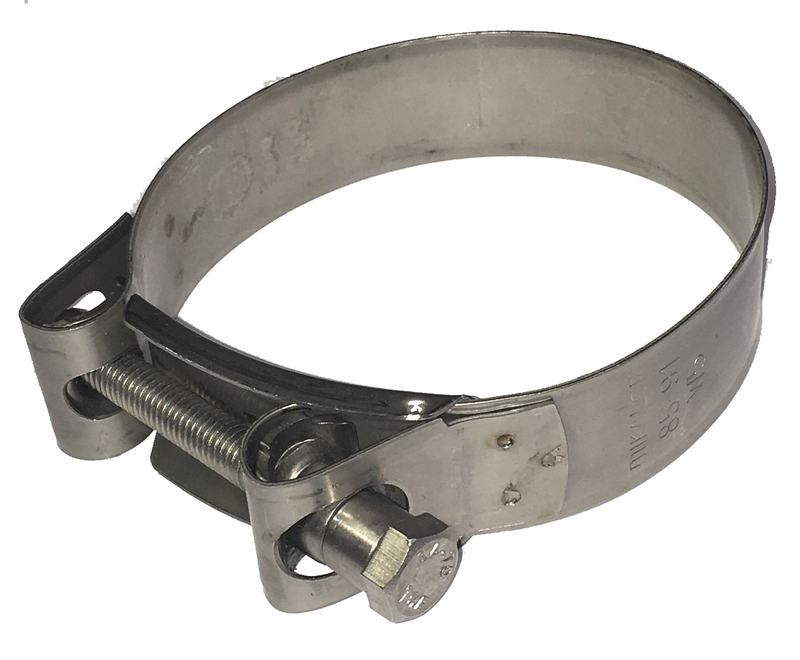 Other brands use spring loaded pop-out pins that support upper sections at only one or two points. Titan flagpoles are extra sturdy. 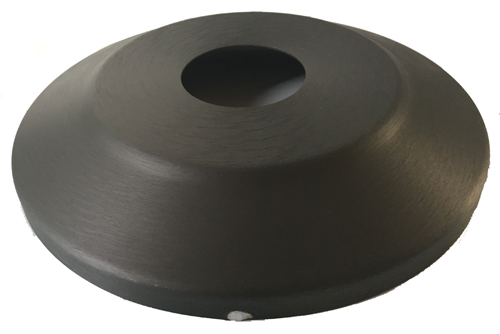 The bottom section is 3 in in diameter with a wall thickness of 0.081 in (12 ga) compared to popular competitors with a smaller diameter and 0.051 in (16 ga) wall. All other sections of the Titan are 0.065 in (14 ga). 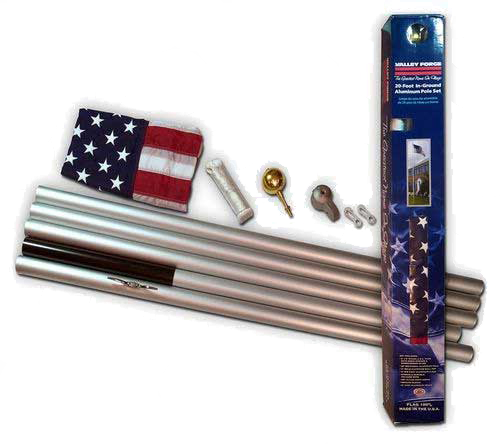 The Titan flagpole is shipped fully assembled and includes rotating flag mounts with stainless steel clips to fly one or two flags, 3 in diameter gold spun aluminum top ornament, PVC mounting sleeve and 4 ft x 6 ft U.S. nylon flag with sewn stripes & embroidered stars. 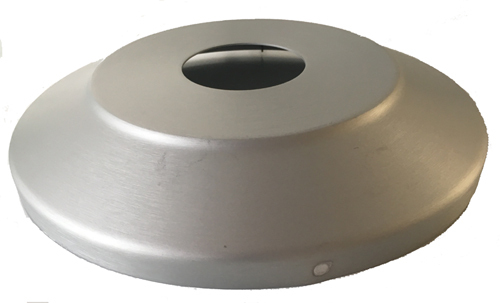 It can be easily installed by a homeowner, handyman or landscaper; click here for installation instructions. Call (412) 341-3524 for more information and for optional accessories. Kit includes swedged anodized aluminum sections that slip together without tools, cast aluminum stationary truck with pulley, halyard, two nylon flagsnaps, cast aluminum cleat, gold spun aluminum 3 in diameter ball ornament, PVC foundation sleeve and American-made U.S. nylon flag with sewn stripes & embroidered stars. 20 ft flagpole: 2 in diameter, 0.058 in wall. With a 3 ft x 5 ft flag. Pole is imported. 25 ft flagpole: 2-1/2 in diameter, 0.070 in wall. With a 4 ft x 6 ft flag. Pole & flag made in the U.S.A.